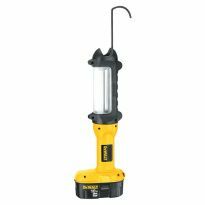 Lets you connect your Linkable LED Shop Lights (#56388, sold separately) and set them apart by up to 48''. 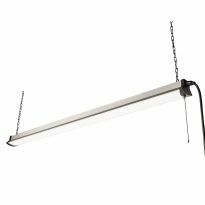 This 48'' Link Cord lets you chain two Linkable LED Shop Lights (#56388, sold separately) together to light a large work area on a single outlet. Use it as a replacement for a lost or damaged link cord, or if you need more length than the 14'' cord included with the #56388 Shop Light. I bought two units but only needed to use one. A bit stiff but easy to install. A breeze and six lights on one switch! What is really nice is they are very light so hanging them on my new suspended ceiling. And of course the white light is so good on the eyes. I could make my own from the small one they send but thought I would just go with one that is made to extend. Looks good and works great. I purchased two of these light fixtures and the Link Cord. Only after I received the lights and read the directions did I see that unless the first light is connected to an outlet with a switch, you need to use the chain to light each fixture. That defeated the purpose for what I intended, i.e. installing them above my garage door without interference from opening and closing the door.. .Had I known about this requirement, I would have purchased different fixtures. I only have a couple outlets available, so being able to link the lights works great for me! 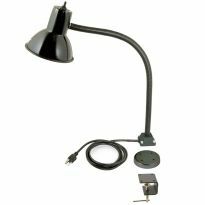 To connect the lights in the computer/office space over a longer distance than the provided 14 inch included cord. I can free up one of my power outlets with the linking. Combined with 6 Linkable LEDs on two outlets, should provide coverage to all my working areas. 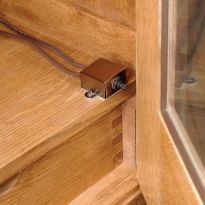 This will link an existing light and free up another electric socket for another use. Don't have any personal experience with this product. 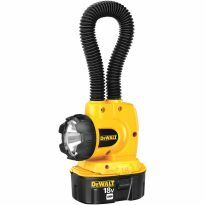 It seems to be a great price and I desperately need light for my shop. I want to space out some of my existing lights to provide more coverage. The linkable feature is great. The cord that comes with the lights is too shout. The 14" cords that come with the lights are too short for my purpose. Previously ordered 4 lights. I already have the lights and the 4' cords will help me disperse the lights across the shop. Provide more spacing between lights. I have six LED lights and wanted to cover a larger area than the supplied cords would allow. Needed to space my previously purchased LED shop lights further apart. These lights SHOULD COME with LONGER LINKABLE CORDS instead of their very short ones that they come supplied with! It's what I want and it's at a reduced Price. I want to place my shop lights farther apart than what the link cords that came with the lights allow. I really need extra lighting in my shop. i am impressed with the amount of light that this unit has which is what i need for my work area. 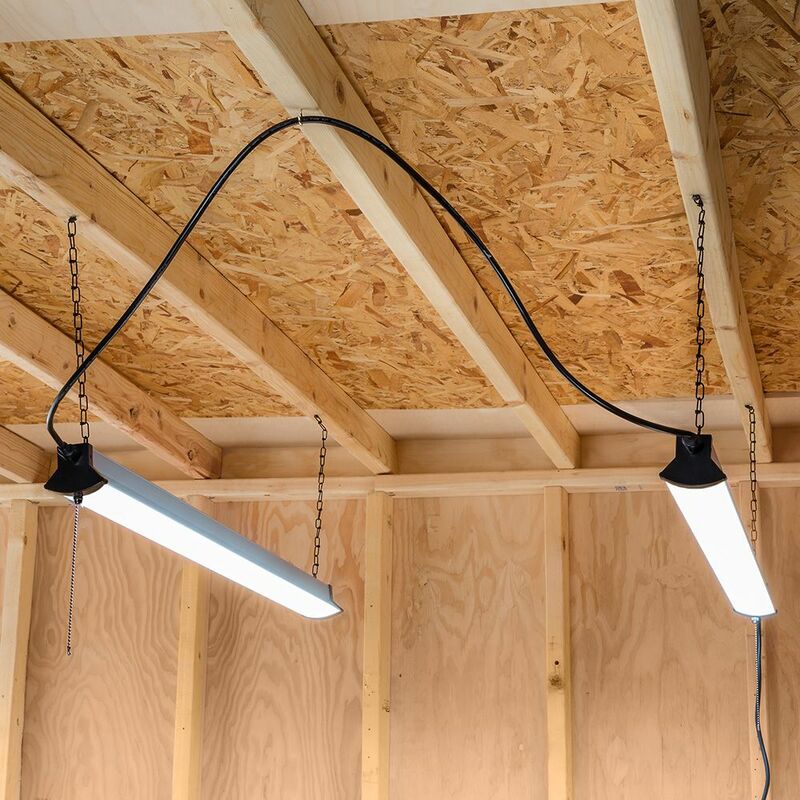 Needed to link two shop lights together for different spots in my garage workshop. Great to support linkage for a single switch setup! To link together the linkable LED shop lights that I purchased. BEST ANSWER: My shop is a little smaller. but not much. I bought six of these lights and ended up adding string to the pull chains so I could turn them off individually (10 foot high ceiling) because they were excessive when not needed in the area where I was working. I replaced three old twin-tube flourescents with the same number of these LED lights and ended up re-spacing them to eliminate shadows, they were more light than I ever saw indoors outside a hospital operating room, then spaced out the rest. It's like daylight in my shop. Sadly the four foot wires only go from one fixture to the next and are molded to only fit one end, so you have to plan the run or have additional outlets to start a new "series" on a different side of the shop. I wish there was an eight foot extension cord but I am still happy with it all. Can you plug two of theses cords together to make it 8’? BEST ANSWER: No, the plug is not designed to be able to do that. Of course, it may be possible to cut off a plug end of each and splice the cords together. However, the plugs are set up for an exit plug on one end and an entrance plug on the other end so be REAL sure of what plug your cutting if you go that route. The lights are great! I have 4 of them in my workshop. I had one that half the led's went out and there customer service was great and sent me another right away. No, the ends of these cables do not go together, however we solved this issue by cutting one end off of two cables and putting a metal junction box between them. This will then give you the desired 8'. No--you can use the cord to connect one light to another. The cord is not capable of plugging into another cord. How many led fixtures can this cord support linked together...Im asking what the amperage rating is of the wire so I know how many lights I can run together?? Size of wire and amperage please? 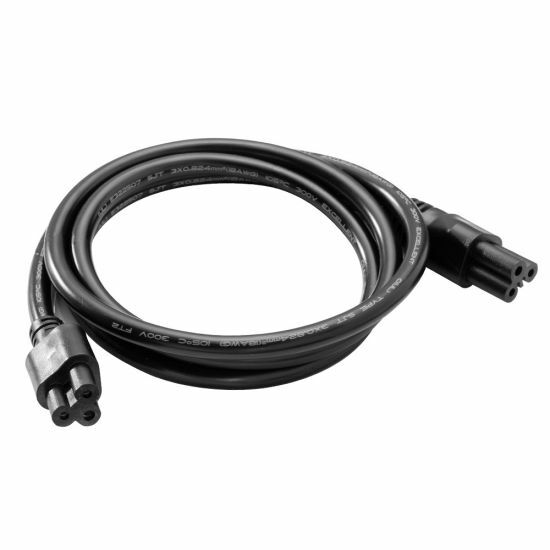 BEST ANSWER: The SL4A-4000L link cord is designed and tested to work with the SL4A-4000L and the SL2A-2000L. 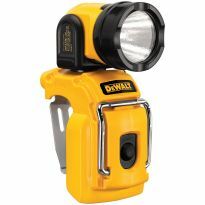 The SL4A- 4000L Shop light has a disclaimer on the packaging that you can link up to 20,000 Lumens. That means you can link up to 5 SL4A-4000L together. will this fit a Lithonia led shop light ?